Supporters of the bid to reinstate baseball and softball in the Olympics say that high TV ratings for the Under-18 World Cup final between hosts Japan and the United States this month have backed their cause. A snapshot of Japanese region Kanto, which has a potential reach of 18.1 million homes, showed that the game garnered an average audience share of 18.6 per cent, which rose as high as 27.2 per cent in the final moments of the match. The game in Osaka, which was watched live by 15,000 fans at Koshien Stadium, was beamed by TV Asahi, a free-to-air network. In addition, online viewers from 93 countries and territories worldwide tuned in while according to Twitter Japan, the game was the second highest trending topic when it was played on September 6. The US won the match 2-1 and a highlight package has become the most viewed video across the World Baseball Softball Confederation's official platforms, having been watched over 1.2 million times to date. A record 4.2 million impressions were generated through the WBSC's official Twitter account, their highest ever one-day reach. 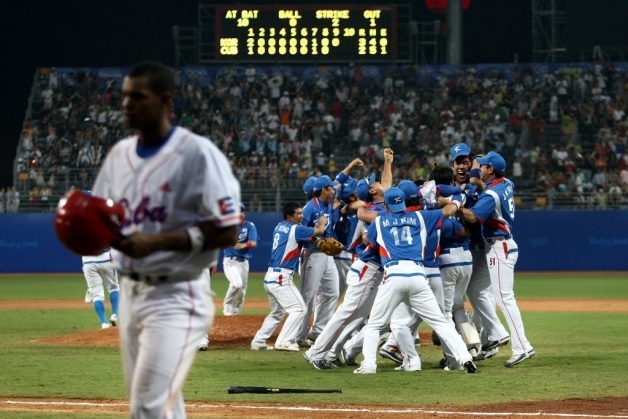 Baseball and softball are among the sports hoping for inclusion at the Tokyo 2020 Olympics after they were cut from the programme ahead of London 2012. “The credit for the excitement and impressive viewership ratings belong to the athletes and to the National Federations whose difficult task it is to identify and select the next generation of young, elite athletes to represent their countries at the highest level,” said WBSC President Riccardo Fraccari. "Also to our broadcast partners who are vital in promoting the exposure of our sport globally. Baseball and softball are up against bowling, karate, roller sports, sport climbing, squash, surfing and wushu in the race to be included at Tokyo.